Based on the legal status of graffiti, I’d venture to say the general public is not a fan. I’ll admit that there’s a large percentage of graffiti that’s unsightly, but on the whole, the Dude and the Mrs. fall into the fan category. It’s great to see a landscape broken by an unexpected burst of art. I dig a colorful explosion, even if it’s illegible like many graffiti pieces. 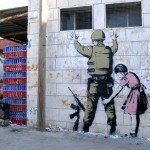 But the Dude has a soft-spot for a little vandalism with a twist of social commentary, like Banksy. 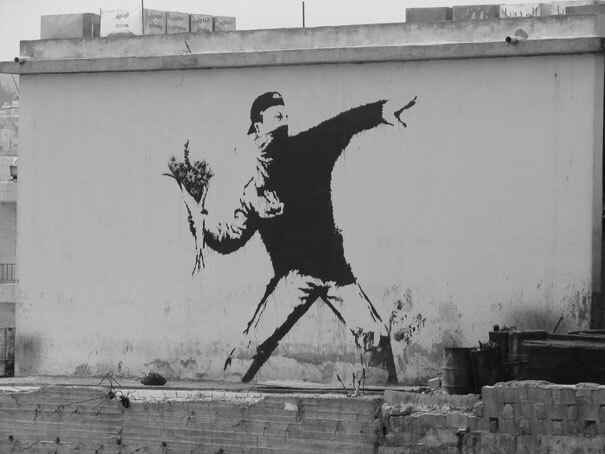 Banksy - Flowers for the Princess? 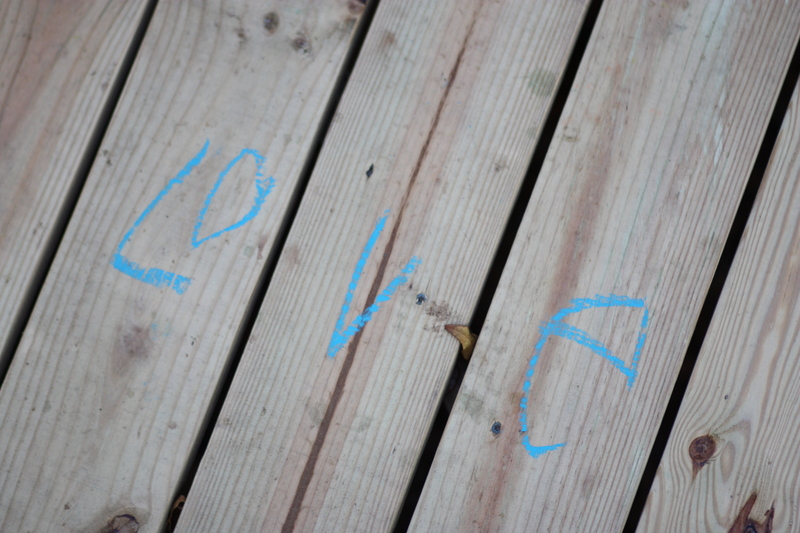 However, I’ve never been on the receiving end of graffiti…until yesterday. A few weeks ago, I mentioned that Rex and I spent 12+ hours building a new set of front stairs. Back breaking work. And yesterday, these new stairs were vandalized! 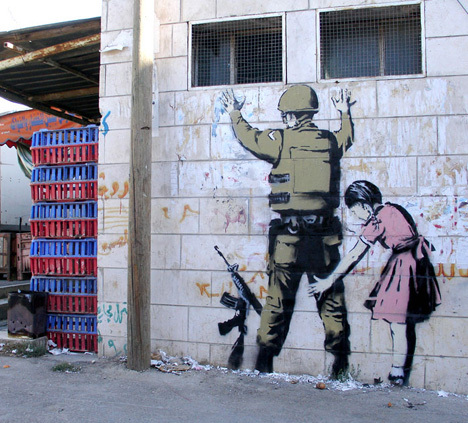 But if it’s great art, with a great message, should the graffiti be considered a gift? 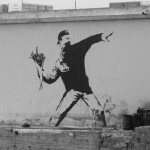 This entry was posted in Daily Pixels, Princess and tagged Banksy, graffiti, love, Princess, stairs. Bookmark the permalink.